LTE Advanced provides improved speed and capacity needed to transform the vision of a permanently connected society into reality. The technology is in accordance with the 3GPP Release 10 global standard. 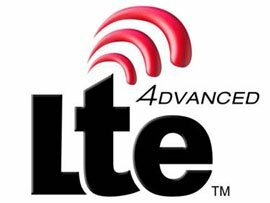 Recently, the International Telecommunication Union (ITU) confirmed that the LTE Advanced are among the technologies that meet the International Mobile Telecommunications criteria and it’s estimated that the first implementations of LTE Advanced will become commercially operational in 2013. The system, fully supported using commercial equipment, was operated on a frequency of test offered by PTS. This fact allowed Ericsson to demonstrate the different features of LTE Advanced, such as expanding the bandwidth available for data transmission through a technique called "Carrier Aggregation" with 3 x 20 MHz (resulting in a total width of 60 MHz) for the first time in a mobile environment. The improvements introduced by LTE Advanced include the possibility of extending the bandwidth for data transmissions by carrier aggregation type techniques or the MIMO functionality (multiple-input multiple-output). From the user point of view, this means that the information will be obtained and transmitted more quickly, even during periods when the network is busy, which, along with higher speeds of data transfer will significantly improve the final experience. The demo was supported by the multi-standard Ericsson RBS 6000 radio base station and the data were transmitted in real time between the station and a van in motion which could effectively measure network performance. For this demonstration they used a bandwidth of 60 MHz wide, compared to 20 MHz maximum amount allowed at present to LTE. For downlink was used 8×8 MIMO. In 2010, the first year the technology was operational, the number of users with access to the LTE network grew to 150 million people. Ericsson has supplied most of these LTE commercial networks and has signed contracts with six of the seven largest operators by revenue in 2010. Ericsson is one of the leading supporters of the development of LTE and holds approximately 25% of the patents needed for LTE, making it the largest holder of patents for this technology throughout the industry.